Ford Motor Company is already working on the next iteration of the Ford Mustang, which is slated to arrive in 2021. Development of this Mustang is taking place on a new modular architecture that will allow for optional all-wheel-drive. It’s been known for sometime that Ford is already working on the next Mustang. That said, timing of its arrival hasn’t been well-known until Automotive News published further details about the car earlier this week. Their report confirms the 2021 arrival and goes into a little more detail about the new car’s underpinnings. Ford is developing the next Mustang atop one of its new modular platforms, likely the same one that is underpinning the upcoming Lincoln Aviator and next-generation Ford Explorer. This platform is rear-wheel drive, but offers optional all-wheel-drive, which would be a first for the Mustang. The move to a modular platform comes as little surprise. Ford has been very vocal about reducing its costs by trimming its platform count, something allowed by transitioning to more flexible, modular architectures. The Dodge Challenger and Chevrolet Camaro are already built atop modular platforms. Automotive News spoke with Mustang chief designer Darrell Behmer, who said fans have nothing to worry about with regards to the Mustang switching to a modular architecture. 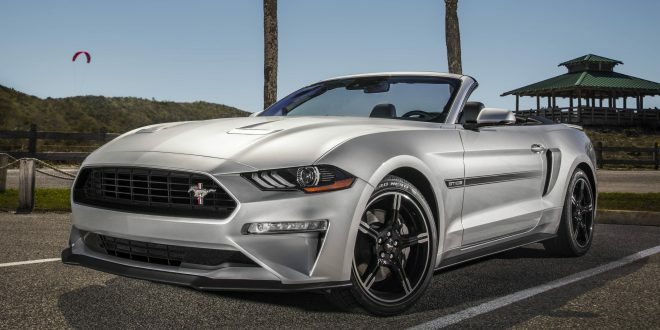 While the new model is apparently coming in 2021, it isn’t clear if the upcoming Mustang hybrid will be offered on the current generation car or the next. Ford confirmed back in 2017 it will rollout a hybrid variant of the Mustang in 2020. Given this new information, it sounds like the hybrid will be offered on today’s car. Expect further details regarding the next Mustang to trickle out over time. It would be nice if it would get AWD option especially if they want to do better in northern climates and Europe. This article says nothing about the Mustang offering AWD. It just says the platform it's built on can support it. Just because the platform supports AWD, doesn't mean the Mustang will offer AWD. Camaro doesn't yet Alpha can support it. Is there a quote from Ford or a statement from AN saying that they spoke with someone at Ford that said it will offer it? I think the rumor about the Mustang getting AWD and a Hybrid variant has been floating out there for a while now. It wouldn't be out of left field if it happens. It would be nice to see it get AWD option if they want to do better in northern climates and push it in Europe. I live in Canada and -- at least in my city -- Mustangs already sell pretty well here. AWD would only make them more popular! AWD is smart going forward and especially for European sales.